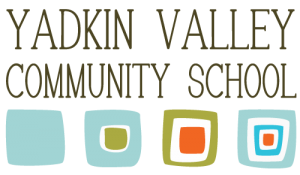 At the Yadkin Valley Community School, we believe in educating the whole child. Part of the well-rounded curriculum includes mindfulness. Each day, after lunch, the students are led in a 10 minute mindfulness practice. This is a time for them to settle their minds and bodies after the energetic time of recess and lunch. They center their breathing, work to improve body awareness, and focus on positive thoughts. Then they are ready to calmly move into the next phase of their day. In addition, the students participate in regular yoga classes to promote physical and mental health. Their yoga practice benefits their physical health by improving flexibility, strength and balance. Other benefits include stress relief, increased focus and confidence. We would like to thank Yoga on Main for providing our yoga classes.